CBD Oil for Inflammation: How Does it Work? CBD is becoming the #1 anti-inflammatory for many people across the country who have decided to give up on conventional treatment methods. 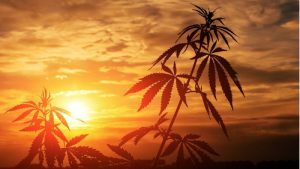 Learn how this non-psychoactive cannabis compound can help you put an end to severe inflammation. Inflammation is useful to us in the short term but can lead to serious health concerns if allowed to persist for long periods of time. One of the primary uses of CBD is to stop destructive, long-term inflammation. CBD, or cannabidiol, can boost immune function by stimulating the cannabinoid receptors. These receptors are found in high concentrations in the immune system, which is why CBD oil is such an effective anti-inflammatory. On top of regulating immune activity — CBD doesn’t induce psychoactivity and has no harmful side effects. 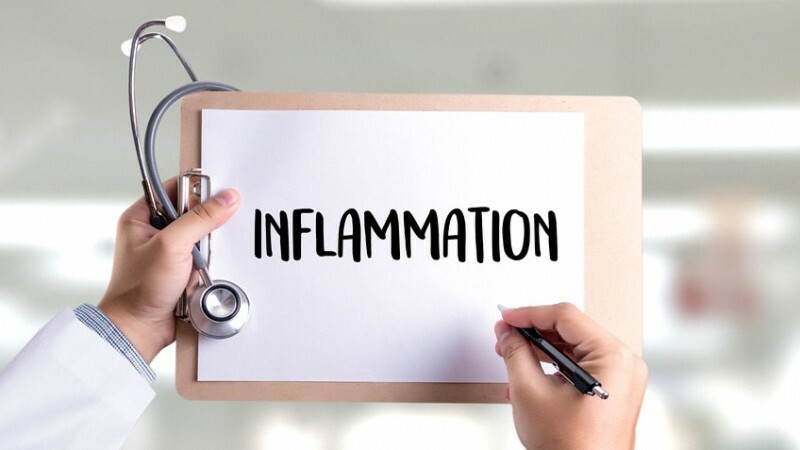 Inflammation is a complex condition and if neglected, can lead to a host of chronic conditions, such as arthritis, irritable bowel syndrome, eczema, chronic pain, cancer, and a range of autoimmune diseases. So, before we learn how to use CBD for inflammation, let’s delve deeper into the condition itself. In simple words, inflammation is an immune response designed to protect and repair damaged tissue. Inflammation is normal and affects many people. In fact, everyone experiences inflammation regularly throughout their lifetime. While short-term inflammation is good for us — after all, it helps the body heal over time — it can wreak havoc on your health once it becomes part of your everyday life. Chronic inflammation is a serious medical condition and can lead to far more serious health issues over time. Since inflammation may be a multifactorial condition, it can also take different forms, ranging in terms of its severity and duration. This type of inflammation typically results from an illness or injury and is normally short-lived. Acute inflammation is characterized by inflammation lasting two weeks or less. As the name suggests, chronic inflammation is a long-term condition — triggered by allergies, infection, or recurring tissue damage. Chronic inflammation is often linked to factors such as the over-consumption of processed foods, obesity, diabetes, alcohol use, and smoking. This term refers to a set of medical conditions in which your immune system mistakenly attacks your body. The immune system is normally able to distinguish between the foreign cells attacking your body and your own cells. An autoimmune disease impairs this ability and causes your immune system to fight both the healthy cells and the invading ones — causing inflammation. Long-term inflammation can pose a serious threat to your health. When your body is constantly inflamed, it results in continuous tissue degeneration and leads to poor tissue function. At this point, you’re probably wondering how to approach long-term inflammation. How is Inflammation Normally Treated? Sometimes, inflammation is unavoidable. Medical science has come up with a range of anti-inflammatory medications designed to tackle the symptoms of inflammation. In cases of severe inflammation, doctors tend to prescribe corticosteroids — a class of steroid hormones and their synthetic equivalents. Corticosteroids are involved in a wide range of physiological processes, including regulation of inflammation (1) and immune response. While they may provide short-term relief for patients, they are by no means the optimal solution in the long run. 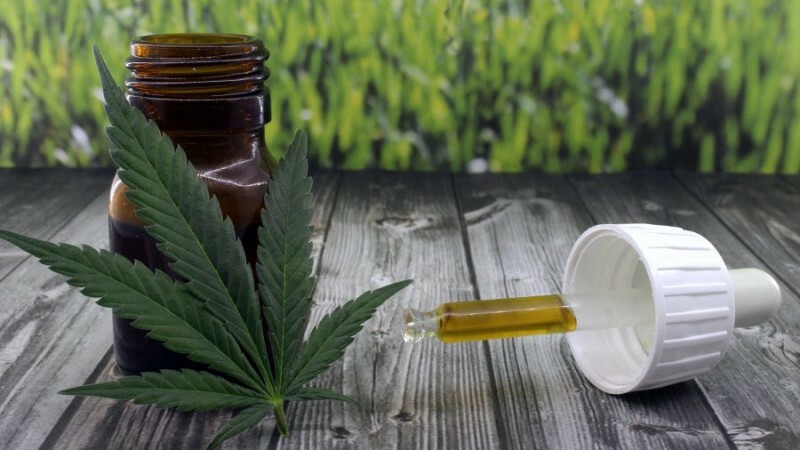 Given the high level of risk, it’s no wonder that many sufferers are turning to CBD oil as a natural and more effective solution for their health concerns. CBD, also known as cannabidiol, is a non-psychoactive compound found in the cannabis plant. It packs a tremendous number of health benefits, dethroning THC as the most talked-about cannabinoid in recent years. Our aim is to show you how CBD-infused products, such as CBD oil, can reduce inflammation without ruining your health. Can CBD Oil Lower Inflammation? As you can see, CBD offers plenty of therapeutic qualities, but its anti-inflammatory effects are arguably one of the most important. Its anti-inflammatory effects are what make it so useful for other conditions, including depression and cancer. CBD exerts its effects through a system known as the endocannabinoid system. Each and every one of us has an endocannabinoid system (ECS). The term refers to a complex network of receptors and neurotransmitters whose role is to maintain the chemical balance in the body (homeostasis) and keep it going like a clockwork. Whenever homeostasis is compromised, the ECS steps in to. However, when a condition becomes too severe, the endocannabinoid system can go out of whack and require support from external sources. This is where CBD steps in. Unlike THC and other cannabinoids, CBD doesn’t directly bind to any of the cannabinoid receptors in the endocannabinoid system to trigger its effects. Instead, it signals the ECS to produce more of its endocannabinoids so they can bring the body back to balance. In addition, CBD allows these cannabinoids to stay longer in the ECS by inhibiting the action of the FAAH enzyme, which is directly responsible for the breakdown of cannabinoids. The immune system contains high concentrations of the CB2 cannabinoid receptors. When stimulated by the endocannabinoid system, they boost immune function and help fight the inflammatory response. What Does The Science Say About CBD For Inflammation? 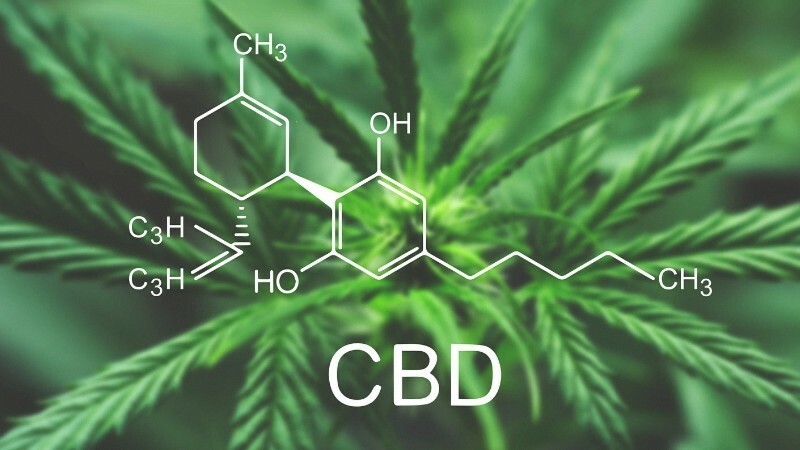 What we’ve said above may sound like bold claims to those unfamiliar with CBD’s role as an anti-inflammatory, but all these properties are well backed by science. A study published in 2011 by G.W. 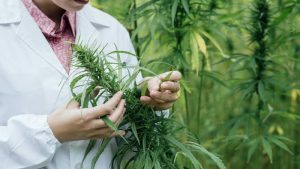 Booz from the University of Mississippi examined the anti-inflammatory properties of CBD to see if the compound can reduce the level of inflammation. The study found that CBD can have a dramatic impact on inflammation, and it can even prevent the long-term organ damage caused by this condition (8). According to a 2016 study that analyzed the effects of CBD on animal models of rats with arthritis, topical CBD application was reported to be a successful treatment for arthritis-induced pain, as well as for general inflammation (9). A 2013 animal study conducted on mice with acute pancreatitis (inflamed pancreas) investigated the anti-inflammatory effects of CBD, specifically its ability to decrease the enzyme activities and other functions associated with inflammation. The results pointed out that CBD brought significant relief to the mice with acute pancreatitis, causing literally zero side effects (10). If you still feel uncertain about using CBD oil for inflammation, the following section should be enough to convince you to give it a shot. Full-Spectrum Oil vs. CBD Isolate: Which Is a Better Anti-Inflammatory? While you might be tempted to go for the highest concentration of CBD to fight inflammation — remember that more isn’t always better. CBD isolate contains 99% pure CBD that comes as a crystalline powder and contains nothing but the activated cannabidiol. No THC, no additional cannabinoids, no terpenes — zero. Full-spectrum extracts, on the other hand, are much less potent than CBD isolate, but they offer the benefit of something called the entourage effect. 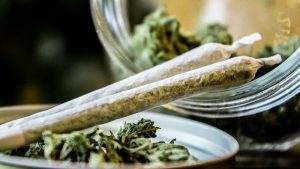 The entourage effect means that the active compounds in the cannabis plants produce better effects when contained together in an extract than each of them alone. This concept was widely described by Dr. Ethan Russo in his academic paper “Taming THC” and supports the idea of the so-called whole plant medicine (11). Russo’s theory was further backed in 2015 by an Israeli study conducted at the Hebrew University of Jerusalem’s Hadassah School. The study compared the efficacy of full-spectrum CBD extracts with the isolated CBD in terms of relieving pain and curbing inflammation. The results clearly indicated the superiority of the full spectrum CBD (12). While CBD continues to surprise us with the seemingly never-ending stream of benefits and medical applications, its anti-inflammatory properties are one of the main reasons behind this compound’s effectiveness. Cannabidiol seems to succeed where pharmaceutical medications fail. Due to its unique way of interacting with our bodies, CBD can naturally boost our immune response and thus significantly reduce inflammation. Some studies even point that CBD may be able to prevent long-term organ damage caused by chronic inflammation and autoimmune disorders — all of this without any danger to your health. 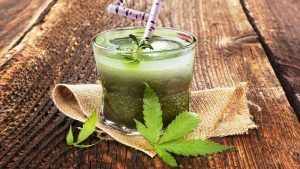 Will more individuals move over to the plant-based medicine and use CBD for inflammation in the future? Time will tell, but the tides are on our side. Do you use CBD as an anti-inflammatory?